I Scare Myself: Over five decades, Dan Hicks has built Hicksville into a burgeoning metropolis. Dan Hicks is no stranger to the time warp. In the spring of 1965, Hicks, then fresh out of college, pulled up stakes and headed for a small hippie commune in Virginia City, Nev., to help build the notorious Red Dog Saloon. The now-defunct dance hall served as the summer lair of the Charlatans, a San Francisco folk-rock band (Hicks, Mike Wilhelm of the Flaming Groovies, and Boz Scaggs were among its members) with a taste for turn-of-the-century gambler chic and potent hallucinogens--and a penchant for packing sidearms onstage. It became a popular watering hole for Bay Area bohemians and Sierra residents keen on its Wild West flair and psychedelic atmosphere. "What I remember most about the Red Dog was all the guns," said band member and poster artist Michael Ferguson in an interview for The Art of Rock. "That's the only thing we spent our money on--bullets. One of my favorite things was going down to the dump and spending an hour setting up cans and bottles, then finding an old chair, sitting down, and plunking away. It was a real loose Western scene." These days, Hicks downplays the gunplay, but fondly recalls the rustic nature of the town. "It wasn't like people were shooting each other," he says during an interview from his Mill Valley home, "but it definitely was a throwback to another time--the town certainly had the feel of another century." The same can be said for Hicks' music--featured on a new two-disc retrospective--and the man himself. An Arkansas native who grew up in Santa Rosa in the '50s and graduated from Montgomery High, Hicks and his red-hot acoustic band the Hot Licks shuffled onto the national stage in 1969 with the album Original Recordings, which included Hicks' signature piece, "I Scare Myself" (penned after an encounter with some potent marijuana brownies). The music was a strict departure from his colleagues in the San Francisco rock scene, who were rapidly psychedelicizing their sound. The debut album showcased the campy outfit that over the next few years would dish up wry country-swing-inflected tunes--sort of a hybrid of Bob Wills and the Texas Playboys, Django Reinhardt's string band, and the swing-era Andrews Sisters. It proved a deft blend of humor, beat sensibilities, and pseudo nostalgia that earned Hicks a reputation as one of the most original performers in pop music. "I didn't want to go into rock 'n' roll--that wasn't what I liked the best," Hicks explains. "My sound really emanated from my days as a folk musician, playing all of that acoustic stuff. So the early stuff I came up with was a folk thing with a little bit of jazz." Three classic albums and as many decades later, Hicks reemerged in 2000 with the strong comeback album Beatin' the Heat, his first new studio recording since 1976. It featured guest appearances by Elvis Costello, Tom Waits, Brian Setzer, Bette Midler, and Rickie Lee Jones. 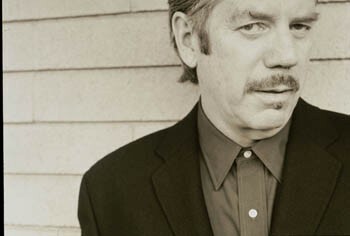 Now he's back with Dan Hicks and the Hot Licks, a two-disc set recorded live at a 2001 Warfield Theater concert that marked the singer-songwriter's 60th birthday. The recordings--a CD and DVD--feature an all-star cast of friends that includes 45 musicians who played with Hicks over the years. "Essentially, I invited everybody who had ever been in the band," Hicks says, "including three of the remaining Charlatans and some of the guys from Santa Rosa that I had learned to play folk guitar with back in high school." Originally, Hicks had planned the event as a tongue-in-cheek self-tribute, envisioning that he would be sequestered onstage in an easy chair and looking pleased with himself while those fellow musicians who had played such a big part in his career performed for him. "Sort of an alumni jam," he quips. It didn't exactly work out that way. In the end, Hicks was centerstage, though he graciously shared the spotlight with his old friends. Hicks will perform Friday, Dec. 12, at the Fillmore Auditorium in San Francisco at a record-release party that will add a seasonal splash. The concert, the second annual Holidaze in Hicksville, will feature the Christmas Jug Band (featuring several former members of the Lost Planet Airmen) with special guests, a doo-wop group, and a host of new holiday songs. "And I'm sure I'll play 'I Scare Myself,'" he muses before adding dreamily, "I don't know that I've ever done a show where I didn't play that song, except maybe at open mic night at the Old Mill back in 1974. . . ."
Tickets for Dan Hicks and the Hot Licks second annual Holidaze in Hicksville concert are $35 (all ages). Showtime is 8pm. Visit www.fillmore.com for details.